D.R. Bond provide a complete bathroom installation service, providing customers with an efficient, professional service, which is great value for money. 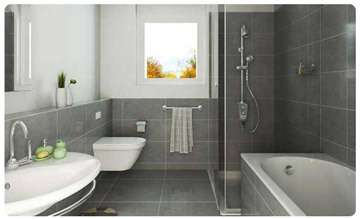 We are fully City & Guilds qualified and have many years experience in bathroom, shower and wet room installation. We pride ourselves on attention to detail, ensuring our customers have complete satisfaction. 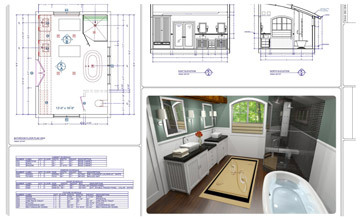 Utilising our Bathroom design software we are able to provide detailed plans to help you visualise your new Bathroom area. Email us your rooms dimensions and specifications, along with pictures of the existing Bathroom and we will provide you with a free quotation without visiting your property. ‘I am really happy with my new bathroom Thanks for a great, swift and friendly service’.